If you are looking for a snack that's truly different you will love these strange food items that you can buy online. We all eat, but some of us have tastes that are extremely different. This list is proof of that. 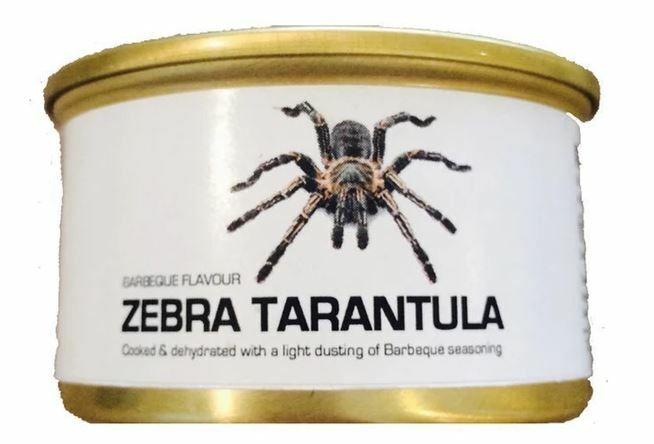 Fancy a tarantula for lunch? 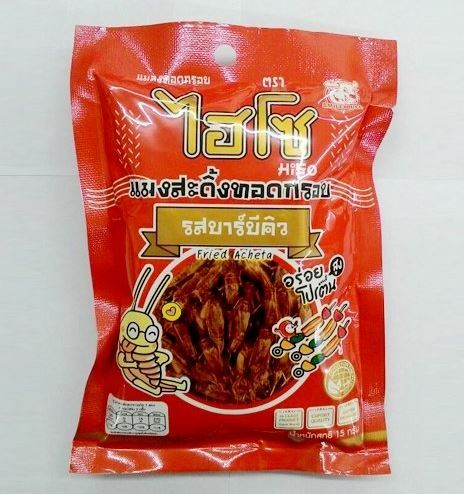 Or a bag of mixed bugs to snack on? Exotic foods that are not what you would usually eat can be very surprising. This is because they can often not taste as you would expect them to. Sometimes they can be delicious and sometimes not. Often we do not want to try different foods because just the idea of eating them is too foreign to us. Food preferences are a personal choice and a lot of the time they can be based on culture or availability. Just because something is edible doesn't necessarily mean that you will want to eat it. Even if it tastes great you will probably avoid it if it just seems too strange to you. 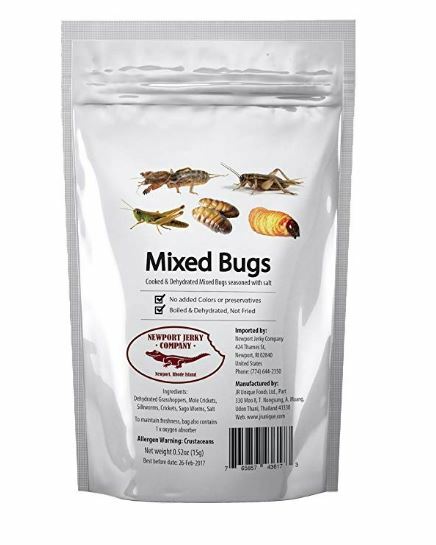 If you enjoy mixed nuts then maybe some mixed bugs would be an interesting alternative. Bug are not that weird come on! Because in many cultures around the world it is common to eat bugs. There are five different types of bugs in this pack, yum! 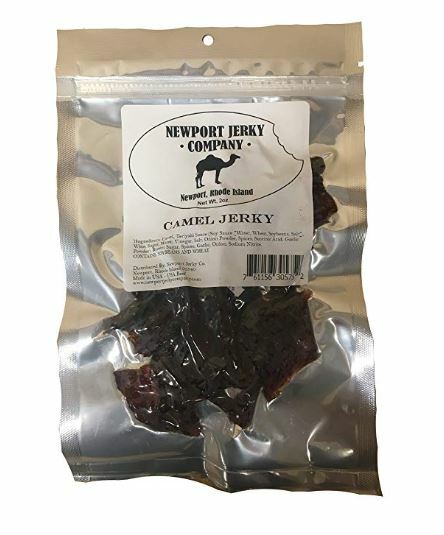 Beef jerky is enjoyed by many people but have you ever tried camel jerky? Camel is a meat that is commonly eaten in some places so if you are a jerky fan you might want to give this a try. 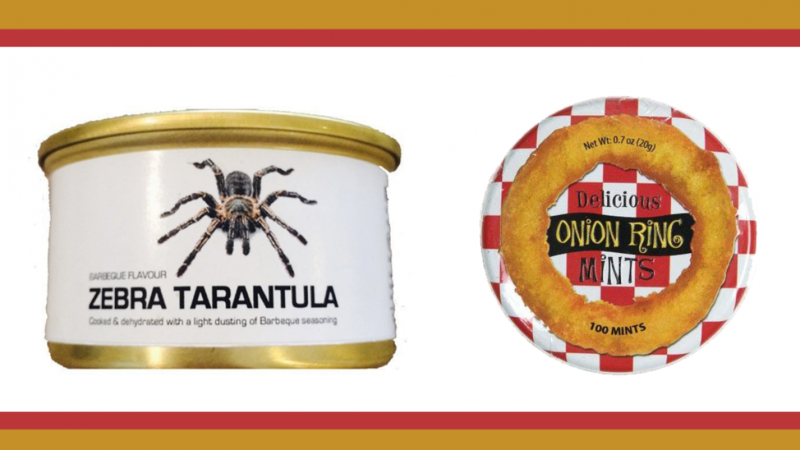 This canned spider snack comes ready to eat with a light dusting of BBQ seasoning. Perfect to serve to your guests at a Halloween Party or an out of the ordinary dinner party. This might seem like a weird thing to eat but you never know, you might love it! 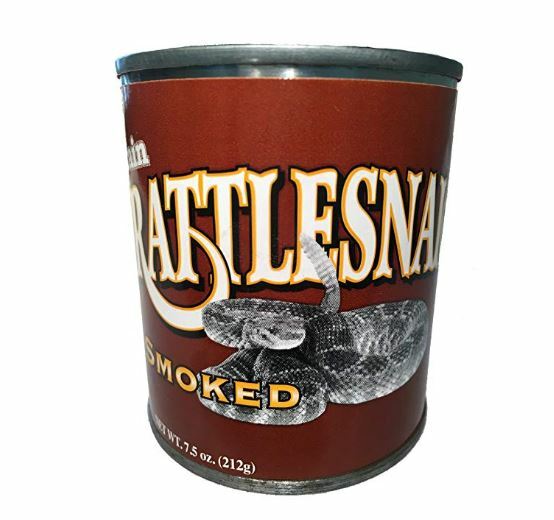 Eating snake is common in many cultures but you can't usually buy it in a can. If you ever wanted to try it but don't like the idea of having to hunt your own snake then here is your chance. Eat it straight out of the can or serve with rice and vegetables. 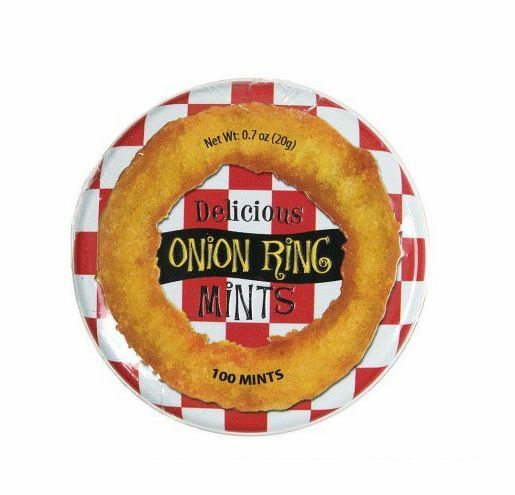 If you love onion rings and mints then you're in luck because they have now been combined. This can of 1oo onion ring mints is just what you need. Apparently they taste just like onion rings and nothing like a mint. A cool idea for a gag gift. 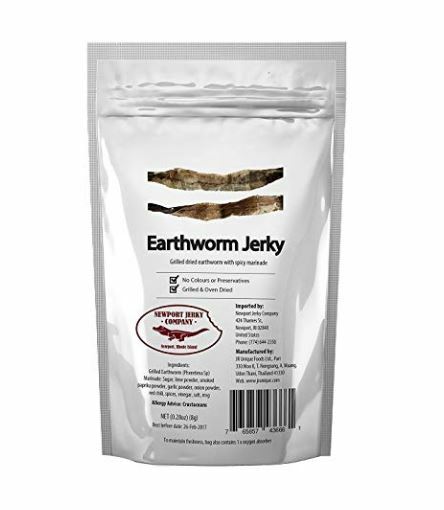 Beef jerky is common but this jerky is a little different because it is earthworm jerky. Your guest will be surprised when you serve up worm jerky because it's not something they will be expecting. 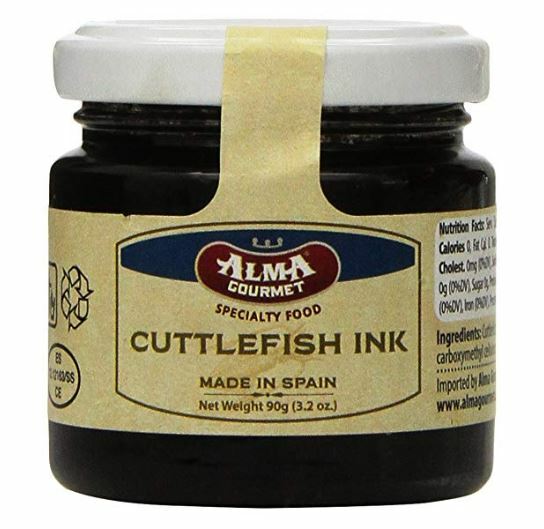 You may enjoy calamari or other seafood but do you have a use for cuttlefish ink? Cuttlefish ink may sound like a strange item to put on your grocery list but some people use it often. It is used to add color to food and it also adds a slightly salty flavor. So if this sounds interesting then why not google a recipe and give it a try. 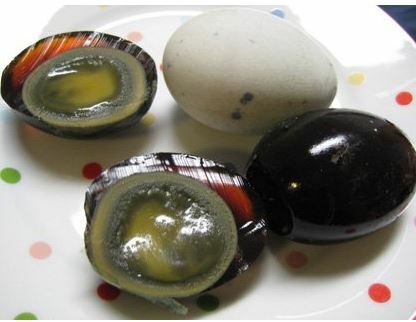 Many people love century eggs when they taste them but are put off by the way they look. A traditional Chinese delicacy with an interesting texture. 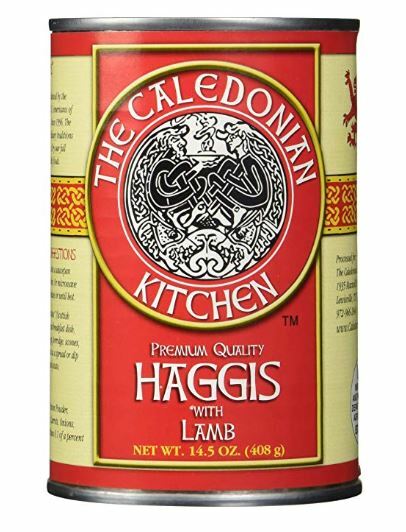 Haggis is not necessarily a weird thing to eat but have you ever eaten Haggis from a can? Simply stuff it, steam it and serve it.